In this program, James Mally, ND, LMT explains and demonstrates over 90 different Swedish massage techniques to help you enhance your skills. As you watch, review, and practice along with the DVD, you will work step-by-step through the fundamental techniques involved in doing a full body Swedish massage. The photographic manual describes each technique demonstrated in the video. 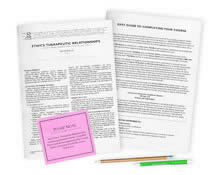 The manual is designed to stand on the massage table, making it easier to refer to the text as you practice techniques. A manual section shows various sequences on a single page for quick reference as well. The importance of taking a client history, using correct body mechanics, and massage cautions and contraindications are all reviewed. According to a Massage Magazine review: "In a logical, well-thought-out routine, we learn preliminaries to the massage session, efficient use of the massage table, tactful draping of the client, an entire full-body therapeutic massage routine, finishing touches, and a brief introduction to deep-tissue massage." Swedish massage has been shown to reduce stress and alleviate common body aches and pains. The course is attractive; the professor explains in a clear manner techniques that are tremendously useful for my every day practice not only for its importance but also for it results on the clients body. I've been doing these techniques from the beginning with confidence. I'm interested in buying some other courses from this author and I would recommend to any professional massage therapist. Thanks. I was very pleased with the knowledge and teaching of the instructor. 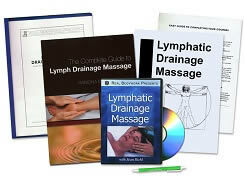 I feel that the reference book and DVD will be a great asset to practice the techniques (and to add to my other more requested deep tissue massage) thus making for a more enjoyable and effective massage for my clients. Good reminder of proper body mechanics as well. Dr. James Mally has done an outstanding job in presenting his techniques. His work is full of professional integrity and expertise that comes from experience yet is wonderfully heart centered as well. 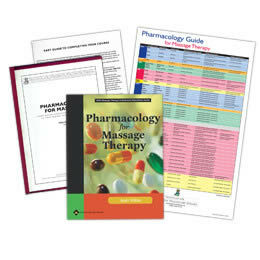 The format of the text is very practical for ease of use during massage practice, as is the DVD. I very greatly appreciate the fine quality of these course materials. Well organized, excellent presentation and explanation as necessary. Stressed proper body mechanics for the therapist and proper draping of client. Good review of basic massage strokes, history of Swedish massage. Good review of contraindications and cautions of massage. Thank You this course was educational and so convenient!! Like anything, you get out of it what you put into it. I've been practicing massage for 37+ years, and I didn't learn anything new, but I took about a month, and several practice clients, and used this course as a review of everything (minus A&P, pathology, energy production in the cell, etc.) I am quite happy with the course, if all someone wants is the CE credits, though, it was frightfully easy. This course was a great full body massage review, with some new and different techniques for me to add into my routine! The content is straightforward and easy to follow. Thanks! I like Dr. Malley's style of presenting/teaching. Low key is so much nicer that over enthusiastic and over animated!! I took the class to possible learn new ways to do the same old thing and I did pick up some new/different techniques. The content was well-illustrated and clearly presented. I enjoyed it and will use it in my practice. Thank you very much. I like this course, DVD is excellent . Integrative Healthcare Studies has been the best by far. They truly have the best study materials. I have used all the information in my practice as a massage therapist. The video was very detailed with steps for massage. There were some strokes that I was not taught in school. They look very soothing to apply to my clients. I will defiantly use this DVD to enhance my client’s massage experience. Very informative material. Love the photos and examples of techniques. Best refresher course I ever took. I will be taking more in the near future. having been a massage therapist for 12 years I thought I could use a review of the basics. it was a wonderful review and I was able to add some new techniques to my bag of goodies. I am excited to use some of my new knowledge on my clients. I was getting bored with my regular relaxation massage routine. These strokes are a great addition. I will spend many more hours practicing the techniques. Glad I took the course. This course was a great reminder of how benefical "Swedish Massage" is! And I've learned new strokes so my clients (and me) don't become bored. Thanks, I really enjoyed it! It was a great course! I learned new applications for Swedish Massage. This was a great course and it was to the point. I will definately be doing more from this site in the future. Thank you. Clearly presented, very detailed course! This was my first course with Dr. Mally and I will be taking future courses with his materials. His course includes a DVD and a flip chart; materials I will use and keep for my entire career. Very valuable and practical information. I was very pleased. Great refresher course! I will use some techniques taught. I suggest every massage therapist take this course. After five years in practice I still learned a lot of new things to make my sessions better and relearned things I forgot. Great course! Dr. Mally is very knowledgeable. His technique, quality of the video, and workbook held my attention. I also liked his sense of humor. I liked this course because it refreshed my memory and was clear for me to understand. Thank you for having a fun course. It gave me helpful ideas. Really enjoyed the class and learned a lot. I will definitely be taking other classes in the near future. Good refresher course of things to add to your massage. Dr. Mally was great and very informative. I really like all the courses that I've taken from the Institute. Everything has been very knowledgable and I've been able to use all of it in my practice. The information was laid out in an organized fashion which made it easy to follow while practicing the techniques learned. Supporting materials were very helpful. Thanks for the technical support and great course. This was a great course to refresh my Swedish techniques and to learn new techniques! I would highly recommend this to anyone looking to gain new knowledge, or just as a refresher. I liked the format of the video. It was easy to go back and review specific content. Very well developed. Great presentation with factual, informative, outstanding format. I loved this course. I learned valuable techniques that will bring a smile to my client's heart and soul! I have been doing massage for over 27 years, but I still found a couple nice new 'moves' to use... overall an excellent beginning Swedish routine. Absolutely love the DVD format! - Makes it perfect to really get the moves down and helps with the sequence as well. This was a very user friendly course. The convenience of studying the course in the comfort of my home was awesome, and taking the test online and receiving my certificate was wonderful!